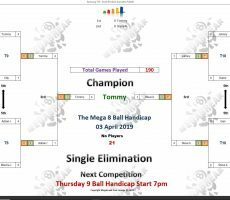 WEDNESDAY MEGA 8 BALL – 3rd APRIL : TOMMY WINS. 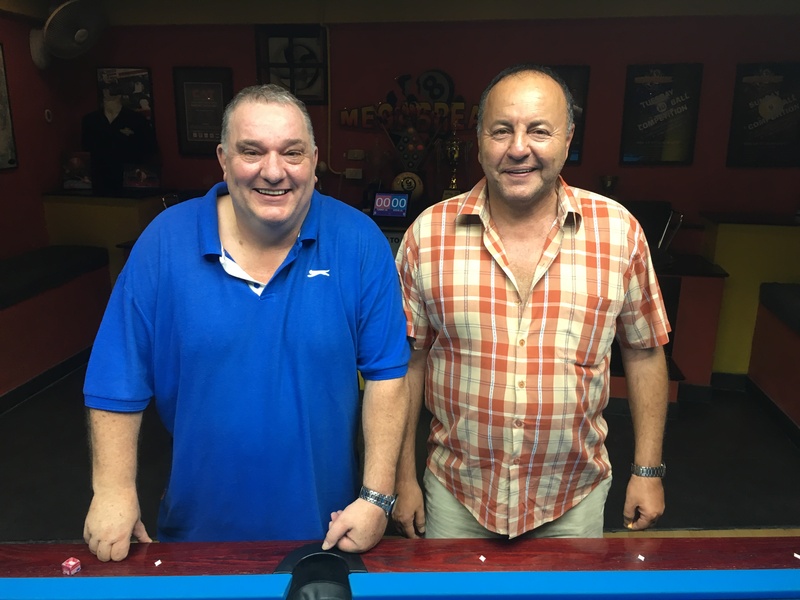 Week 10 of our Wednesday Mega 8 Ball Tournaments attracted a total entry of 21 players. 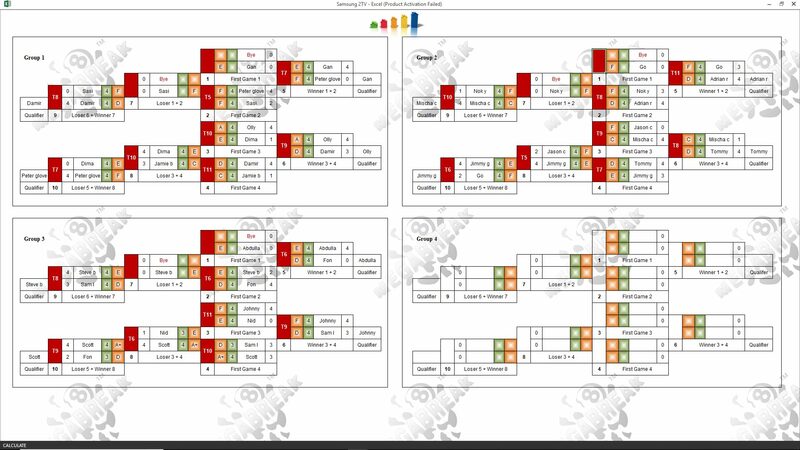 And for the very first time a player from the mid-handicap range (C, D, and E) went all the way to 1st Place. 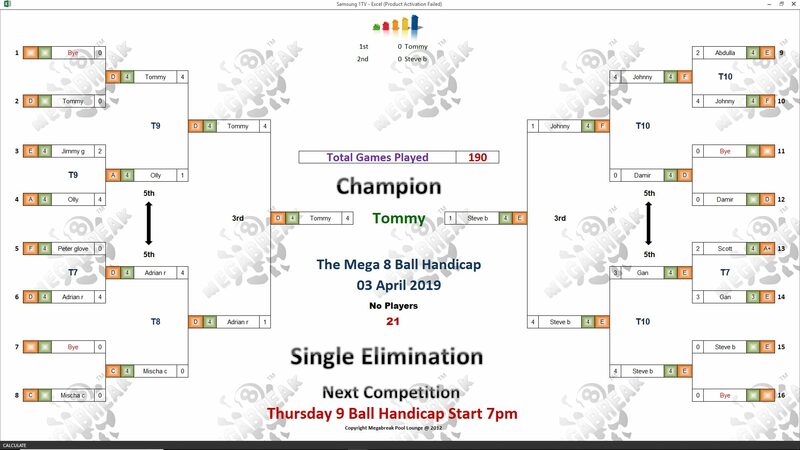 Congratulations go to all the winners, especially the man in form Tommy Fineman who was our champion, winning his third competition here within the last 11 days!! Champion : Tommy (D) – 7500 baht. 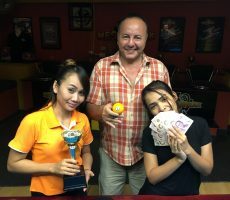 Runner-Up : Steve Boulton (E) – 4000 baht. 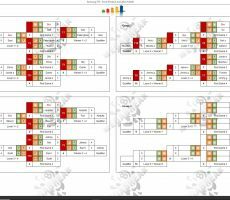 Semi-finals : Adrian Rivers (D) and Johnny Whitley (F) – 2500 baht each. The Player Auction Prize Pot totalled 26300 baht and was won by our champion. 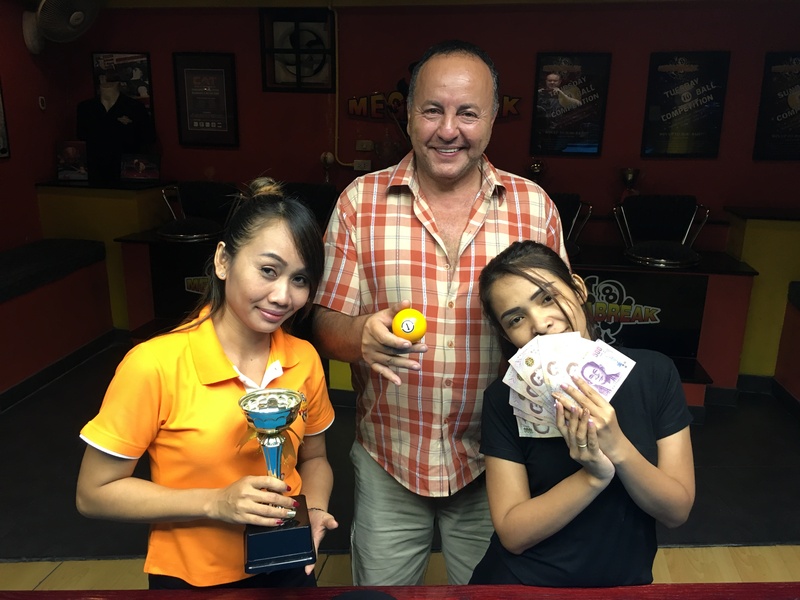 He bought himself for just 1000 baht, and added an extra 10000 to his winnings on the evening. 1st : Tommy (Himself) – 10000 baht. 2nd : Steve (Himself) – 7400 baht. 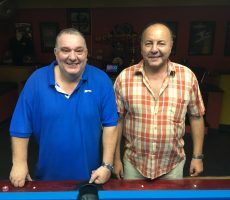 Equal 3rd : Sam Lowe (Adrian) and Fon (Johnny) – 3800 baht each.